Want to move to Capitol Hill or one of our amazing sister neighborhoods in the District of Columbia? 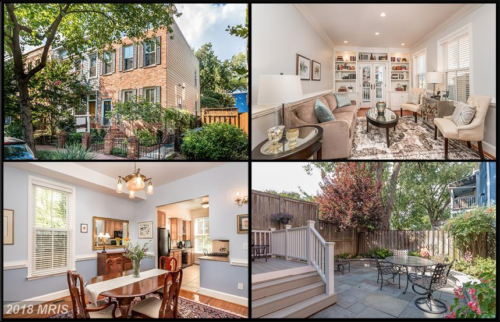 Find your next home by browsing our CAPITOL HILL OPEN HOUSE ROUND-UP! Dare Johnson Wenzler shares her weekly curated open houses with us for your viewing pleasure. To access the link, click here! 1118 C St SE is larger than it looks. It’s been meticulously maintained and boasts windows on 3 sides. It also has high ceilings, heartpine floors, 3 good-size bedrooms, storage attic, living room with built-in bookcases and a gas fireplace. In addition, it has a finished basement for storage or recreation and a beautiful yard with flagstone patio & shed. 1118 C Street SE is listed at $1,194,500 and will be open Sunday, September 9, 2018, from 2-4 p.m. Want to take a sneak peek? Click here!